“I can’t believe how many questions you answered for me and how clear and simple you made things seem. I feel super motivated and excited about my goals!” – KF, filmmaker. As a coach I combine real-talk financial education with intersectional, strengths-based, design thinking approaches to help you create opportunities to transform your practices and relationship to money, and break through personal barriers. I’ve worked with over 200 individuals, partners, and small business owners who have lovely things to say. Individual coaching is all about getting you a custom solution and you having the tools accountability to use it! 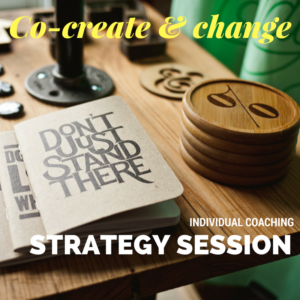 You can select package of sessions or a one-off session, or try a self-coaching course. Much more detail on each of these options below. When and how do we meet? Sessions are available Mon – Thurs 6:30p EST – 10:30p EST, and Sundays 2p EST – 10p EST. we’ll meet via a Zoom video call or in person in Brooklyn, NY. You’ll select that date, time, and meeting format that work for you – as well as pay – when you book your session. Your initial 90-minute strategy session is $175. I offer sliding scale for all sessions ($245 – $79), as well as affordable online trainings as an experiment to allow higher-income folks to support lower-income folks in getting customized financial support. So far it’s working! Ongoing sessions after your first one are one hour and cost $110 in packages of 3, or $125 one-off. Have a set of random questions? Need a step-by-step plan for one project? Want guidance from someone who doesn’t remind you of a mean dad? Having money feelings and need to talk it out? I’ve been through many things: fro m defaulted student loans, to selecting investments I feel good about; from scammy collections, to inheriting money, to not inheriting money that came through a too-nasty family member. I’ve started small businesses, run the financial side of organizations, and I can whip a budget into shape as my relaxing morning activity. I’ve invested, saved, and started a retirement fund. I’ve found ways to live my punk, feminist values and TCB. I’m ready to listen and give you sound advice. We can get together either in person in Brooklyn, on Skype/Google hangouts, or on the phone. One hour, scheduled at your convenience in person or on video call. 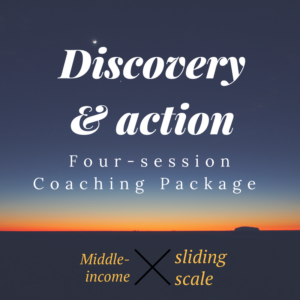 Discovery and action packages are great if you have 2-4 specific goals you want to work through: change habits, wrangle your debt, strategize a business, sort an inheritance, budget for your priorities, stay on the same financial page as a partner. 2. Big Action Plan Session – what are the strategies? and from your review, we look clearly at what are the options you have, over what time, and with what exact numbers and steps? It’s common that opening a new door sheds light into new rooms: with the first steps taken, what else is showing it needs change? You’re smart to check back in and tweak as your plan is beginning to be executed. – what needs to change? Finalize plan. Sliding scale is available – please enquire after your initial intake session. If you’ve completed an individual session and decide to move to a multi-session program, you’re welcome to book a discounted 3-session package here that will allow you to get the. Click to contact me via email if you have questions. 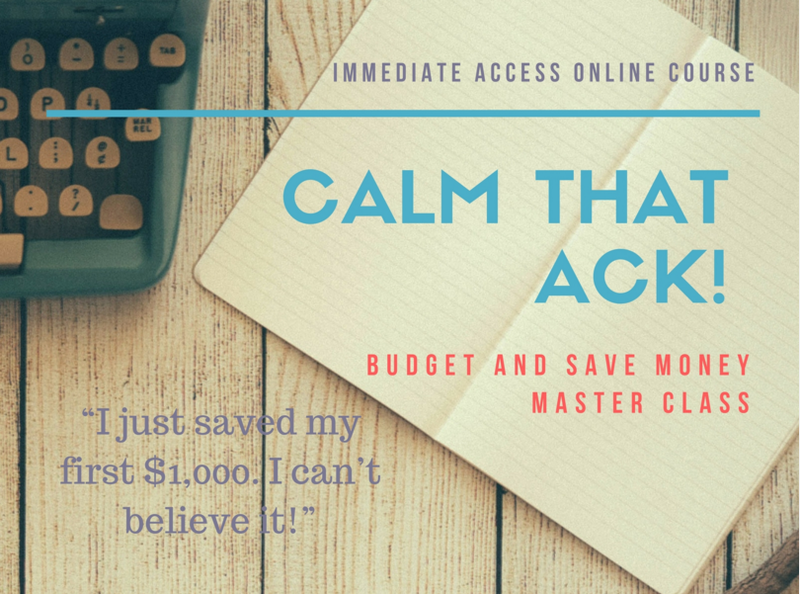 Self-Guided Online Training – ON SALE for only $49! For a lot of people, the core questions you need answered in coaching can be addressed on your own timeline in this online course. Plus — it’s about half the cost of a coaching session. Sign up here and get immediate answers in this two-hour, self-guided, resource laden online self-coaching course. LOTS of pep talk, real talk and progressive takes on money. Cool, I’m happy to get back at you when I can so email me, tweet at me, or comment on my blog and I’m happy to share what I can in a short amount of time pro bono. You’re probably not the first person to have your question, so let’s get you an answer! When I get one-off questions repeatedly, sometimes I make them into blog posts so feel free to ask a question other people are probably already thinking! 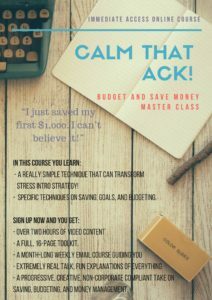 Get started on your own time, at your own speed with a two-hour course on Budgeting and goal-setting that will motivate the CRAP out of you to save money and clean up how you relate to your money. Grab it here and start today for only $49.